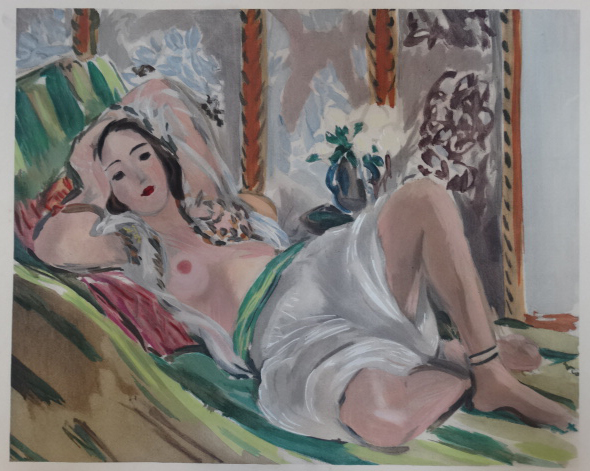 [JACOMET, D.] - DIX OEUVRES de Cezanne, Renoir, R. Dufy, Marquet, Matisse, Picasso, Segonzac, Utrillo, Van Dongen, Vlaminck. Reproduites par le procédé Jacomet. 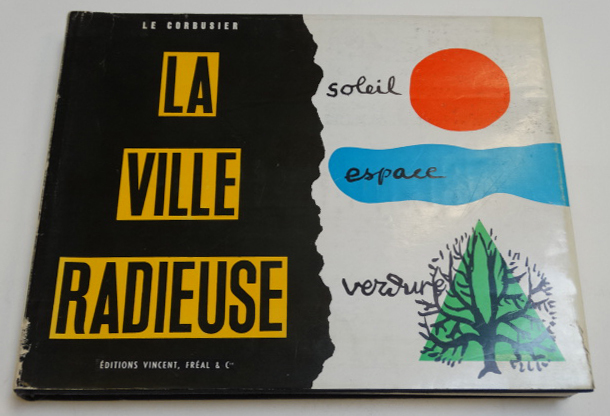 [Paris], Edition Art Vivant/ Librarie Larousse, , consisting of 7 (of 10) col. plates (meas. ca. 40 x 50 cm.) after i.a. Kees van Dongen & Pablo Picasso. Large folio, loose as issued in the orig. cloth-backed boards portfolio. The French publisher Daniel Jacomet (1894-1966) developed a printing technique for reproducing original works of art (combining the phototype- with the pochoir-technique). - Lacks 3 plates (after Marquet, Matisse & Segonzac). With defects (one plate mounted onto boards, several plates sl. frayed/ stained in outer blank margins, portfolio sl. dam./ soiled). 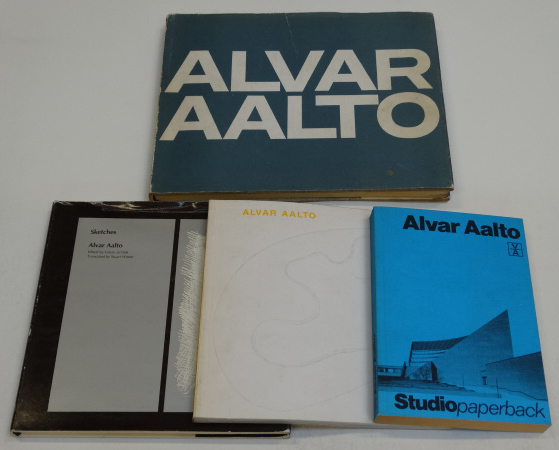 ARCHITECTURE - AALTO - [FLEIG, K.] [ed.]. Alvar Aalto. [2.A.]. 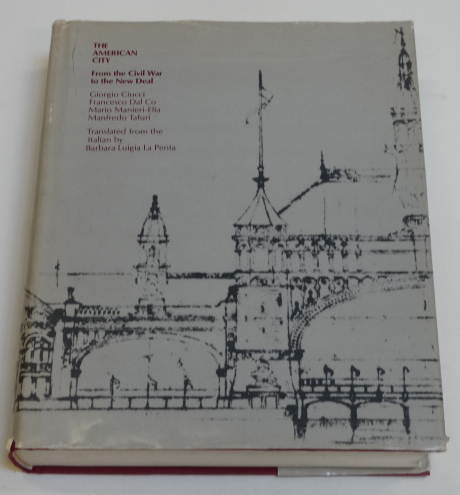 ARCHITECTURE - AMERICA - CIUCCI, G. [a.o.]. The American City. From the Civil War to the New Deal. ARCHITECTURE - AMERICA - WAGNER, A. 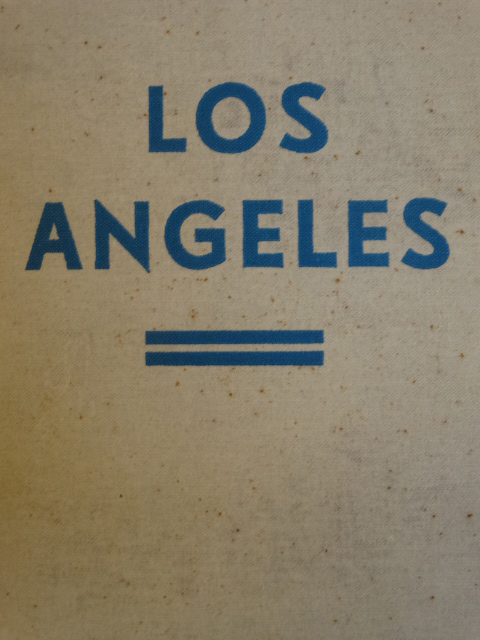 Los Angeles. Werden, Leben und Gestalt der Zweimillionenstadt in Südkalifornien. ARCHITECTURE - AMERICA - WAGNER, A. Los Angeles. Werden, Leben und Gestalt der Zweimillionenstadt in Südkalifornien. 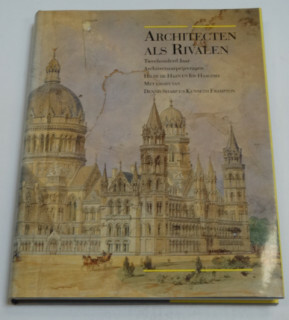 Leipzig, Bibliographisches Institut, 1935, [XII],295 pp. With (fold.) plans, plates & ills. Large 8vo, orig. cloth. 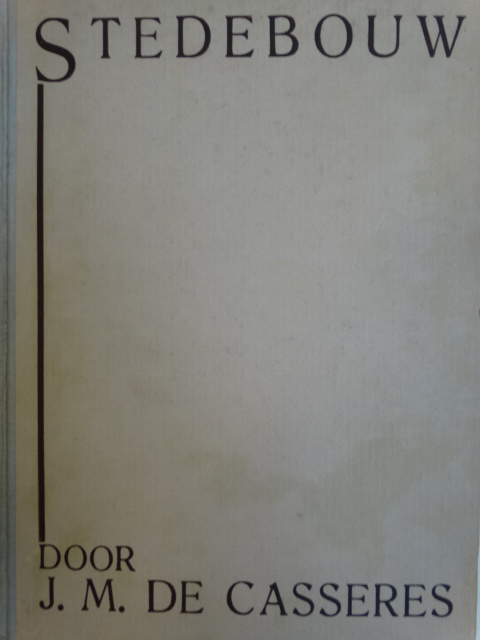 Scarce first edition of a landmark study in urban development and environmental history. - Binding sl. soiled, but else in good condition. ARCHITECTURE - BADOVICI, J. Grandes constructions. Béton armé - acier - verre. ARCHITECTURE - BADOVICI, J. Grandes constructions. Béton armé - acier - verre. [Paris], A. Morancé, [ca. 1927], 39, pp. With 54[=53] plates (incl. 1 double-p.). 4to, loose as issued in the orig. cloth-backed boards portfolio (with 2 ties). Rare French publication. Contains i.a. designs by W. Gropius, E. Mendelsohn, J.J.P. Oud & L.C. van der Vlugt. - Corners & rims of portfolio sl. rubbed/ worn, but else in good condition. 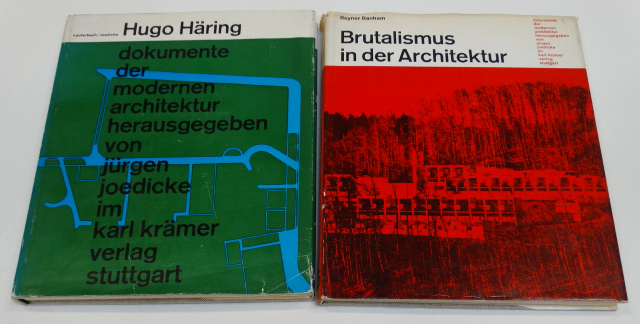 ARCHITECTURE - BANHAM, R. Brutalismus in der Architektur. Ethik oder Ästhetik? ARCHITECTURE - BANHAM, R. Brutalismus in der Architektur. Ethik oder Ästhetik? Stuttgart/ Bern, K. Krämer, , 199, pp. With ills. 4to, orig. cloth, d.-j. pres. - H. LAUTERBACH & J. JOEDICKE. Hugo Häring. Schriften, Entwürfe, Bauten. Ibid., idem, , 172 pp. With ills. 4to, orig. cloth, d.-j. pres. 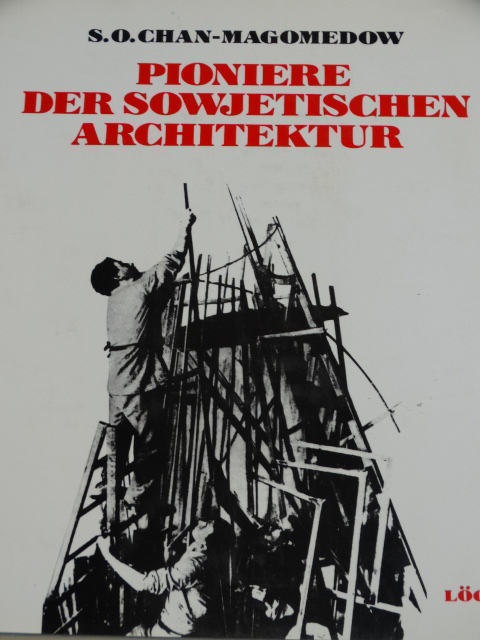 (2) Dokumente der Modernen Architektur, resp. vol. 5 & 4. 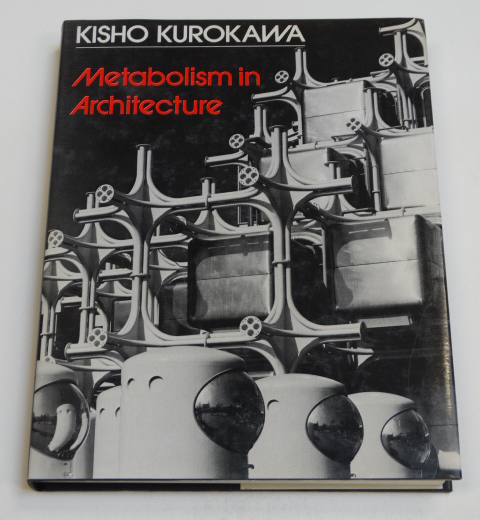 Apart from a few minor imperfections to the dust-jackets both works in good condition. ARCHITECTURE - BERLAGE, H.P. 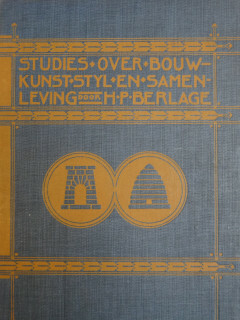 Studies over bouwkunst, stijl en samenleving. ARCHITECTURE - BERLAGE, H.P. Studies over bouwkunst, stijl en samenleving. Rotterdam, W.L. & J. Brusse, 1910, ,125, pp. With (full-p.) ills. Large 8vo, orig. dec. cloth. - P. SINGELENBERG. H.P. Berlage. Idea and style [..]. Utrecht, , [XVI],274 pp. With fold. frontisp. & 134 plates. Large 8vo, orig. cloth, d.-j. pres. - And 10 similar by/on H.P. Berlage (i.a. "Mijn Indische reis", 1931 & "Schoonheid in samenleving", 1924). (12) Ad 1: First edition. Top of spine a trifle worn, but else in good condition. ARCHITECTURE - CASSERES, J.M. DE. Stedebouw. ARCHITECTURE - CASSERES, J.M. DE. Stedebouw. Amsterdam, 1926, XVI,265, pp. With frontisp. & 25 (fold.) plates. Large 8vo, orig. h.cloth. - S.U. BARBIERI [ed.]. Architectuur en Planning. Nederland 1940-1980. Rott., , 240 pp. With (col.) ills. Small 4to, orig. wr. - [P. FORTUYN] [a.o.] [ed.]. Grote Gatendokumentatie. Woningbouw in oude wijken. [Den Haag, 1977], 181 pp. With ills. 4to oblong, orig. wr. - And 23 similar Dutch (smaller) works & pubs. (26) Ad 1: Both free end-papers partly cut out. ARCHITECTURE - CROWE, S. [ed.]. 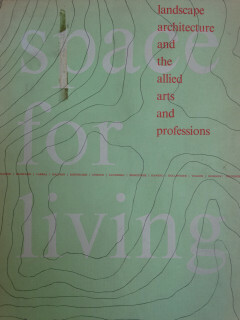 Space for living. 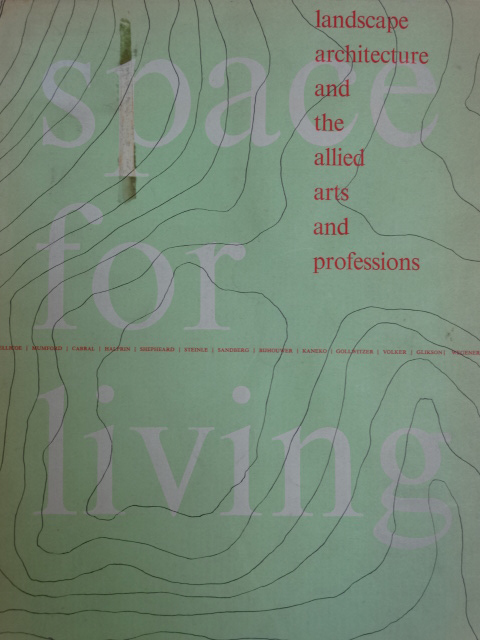 Landscape architecture and the allied arts and professions. 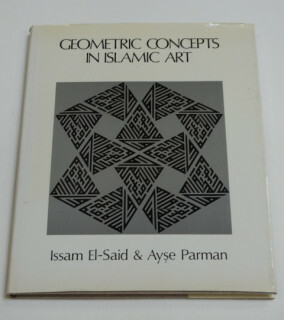 ARCHITECTURE - EL-SAID, I. & A. PARMAN. 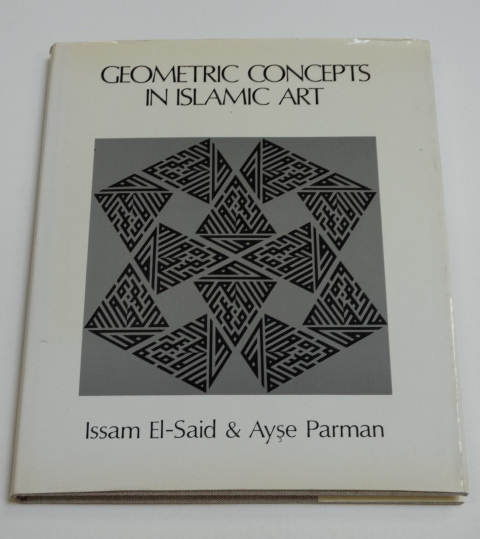 Geometric Concepts in Islamic Art. ARCHITECTURE - FRANK - SPALT, J. & H. CZECH [ed.]. 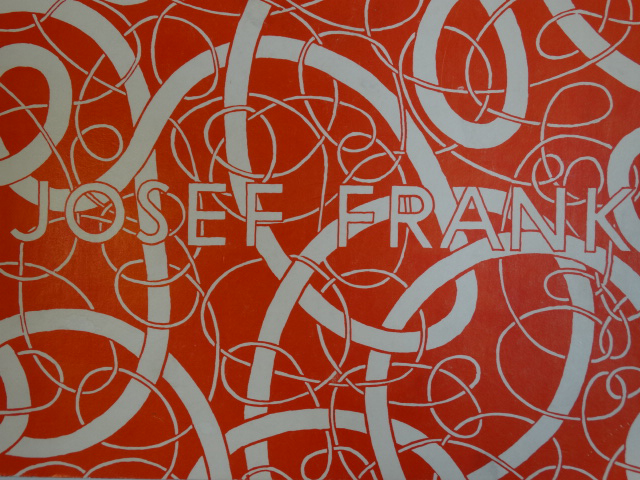 Josef Frank, 1885-1967. ARCHITECTURE - FRANK - SPALT, J. & H. CZECH [ed.]. Josef Frank, 1885-1967. Wien, Hochschule für Angewandte Kunst, 1981, 254, pp. With (col.) ills. 4to oblong, orig. dec. wrappers. 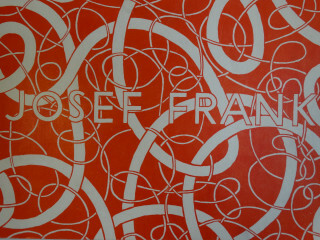 Scarce monograph on the Austrian-born architect Josef Frank (1885-1967), founding father of Swedish modern design. ARCHITECTURE - HAAN, H. DE & I. HAAGSMA. Architecten als Rivalen. Tweehonderd Jaar Architectuurprijsvragen. 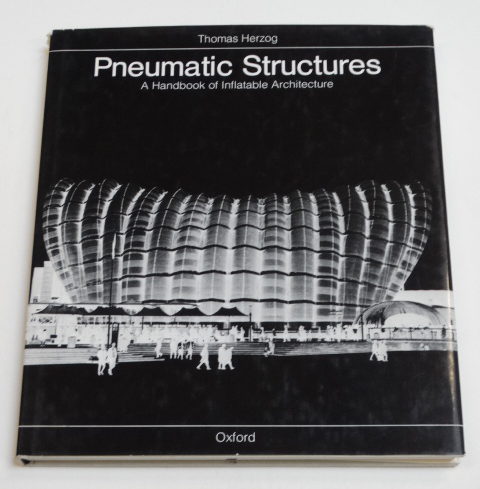 ARCHITECTURE - HERZOG, T. Pneumatic Structures. A Handbook of Inflatable Architecture. 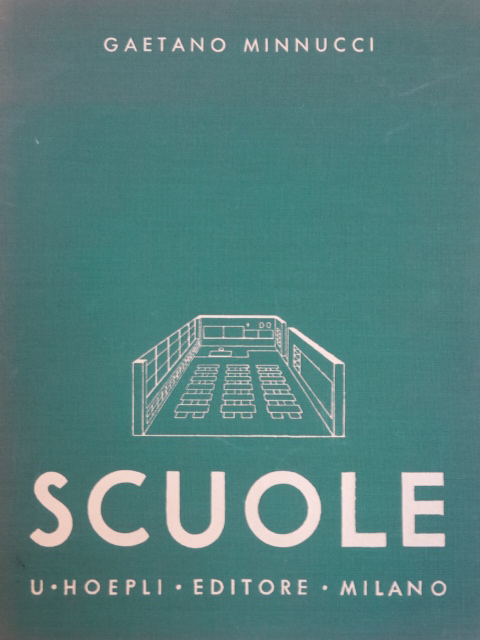 ARCHITECTURE - ITALY - MINNUCCI, G. Scuole. Asili d'infanzia [..]. [Introd. by M. Piacentini]. 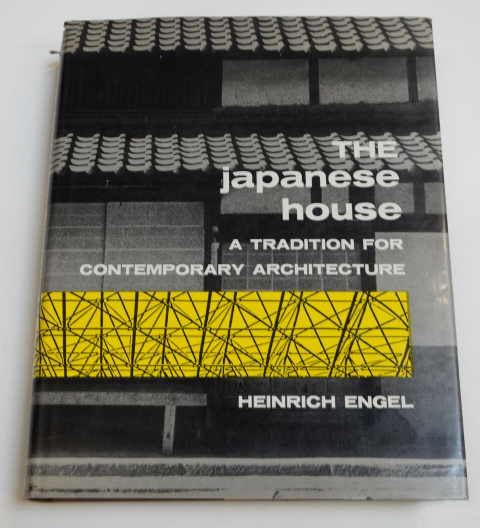 ARCHITECTURE - JAPAN - ENGEL, H. The Japanese house. A tradition for contemporary architecture. ARCHITECTURE - KOOLHAAS, R. Delirious New York. A Retroactive Manifesto for Manhattan. 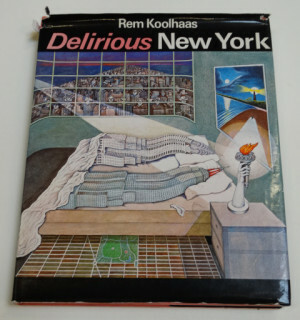 ARCHITECTURE - KOOLHAAS, R. Delirious New York. A Retroactive Manifesto for Manhattan. [London], Thames & Hudson, , 263 pp. With (col.) ills. 4to, orig. boards, d.-j. pres. - H. OUD. J.J.P. Oud. Architekt, 1890-1963. Feiten en herinneringen gerangschikt. 's-Grav., 1984, 246 pp. With ills. 4to, orig. cloth, d.-j. pres. - J. GEURST & J. MOLENAAR. Van der Vlugt. Architect, 1894-1936. Delft, 1983, 151 pp. With ills. Square 4to, orig. wr. - And 27 similar (smaller) works & pubs., mainly monographs on Dutch architects (i.a. K.P.C. de Bazel, J. Buijs, W.M. Dudok, J. Duiker & S. van Ravesteyn). 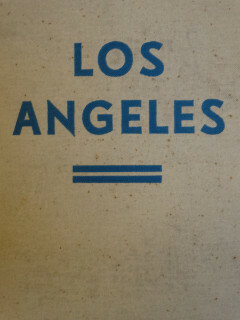 (30) Ad 1: Dust-jacket sl. dam./ torn, but else in good condition. ARCHITECTURE - KUROKAWA, K. Metabolism in Architecture. [Introd. by Ch. Jencks]. ARCHITECTURE - LE CORBUSIER [=C.-É. Jeanneret] & P. JEANNERET. 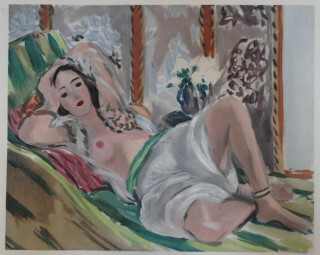 Oeuvre complète 1910-1929. [Ed. by W. Boesiger & O. Stonorov]. - 1929-1934. [Ed. by W. Boesiger]. - 1934-1938. [Ed. by M. Bill]. - 1938-1946. - 1946-1952. - 1952-1957. - 1957-1965. - Les dernières Oeuvres [..]. [Ed. by W. Boesiger]. 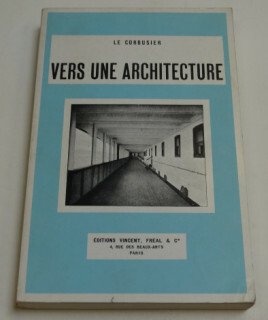 [Zurich], Les Éditions d'Architecture, 1947-. 8 Vols. With ills. 4to oblong, orig. cloth, d.-j. pres. (8) Complete set (in various editions) of the collected works. - Dust-jackets sl. dam./ repaired with tape. 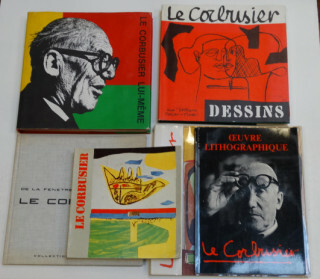 ARCHITECTURE - LE CORBUSIER [=C.-É. Jeanneret]. 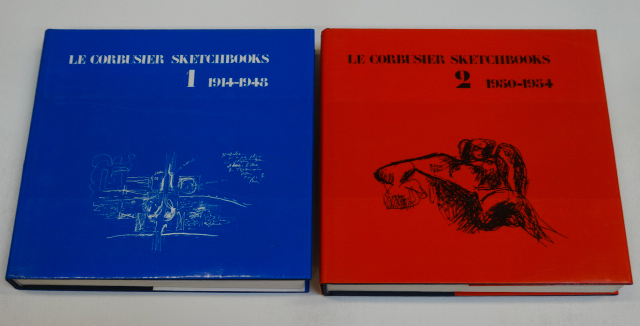 Sketchbooks. Vol. 1, 1914-1948. [&] Vol. 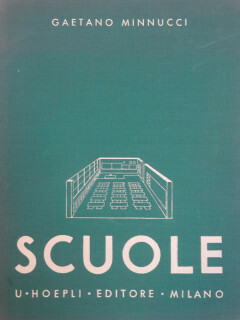 2, 1950-1954. [Ed. by F. de Franclieu]. 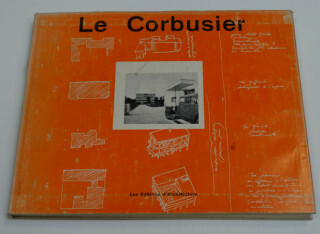 ARCHITECTURE - LE CORBUSIER [=C.-É. Jeanneret]. Sketchbooks. Vol. 1, 1914-1948. [&] Vol. 2, 1950-1954. [Ed. by F. de Franclieu]. [London]/ Paris, Thames and Hudson/ Fondation Le Corbusier, . 2 Vols. : XIV,456 and VIII,541 pp. With (col.) ills. Square 4to, orig. unif. cloth, d.-j. pres. 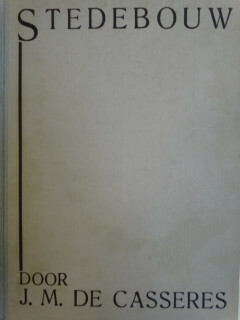 (2) Standard oeuvre-catalogue. Two more vols. were published in 1982. ARCHITECTURE - LE CORBUSIER [=C.-É. Jeanneret]. La ville radieuse. Éléments d'une doctrine d'urbanisme pour l'équipement de la civilisation machiniste. [Réimpression]. 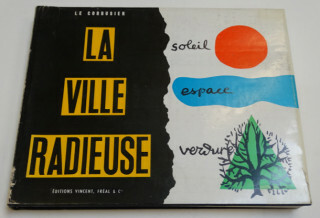 Paris, Éditions Vincent, Fréal & Cie, , ,344, pp. With ills. 4to oblong, orig. cloth, d.-j. pres. Re-edition corrected by Le Corbusier (the 1st ed. was publ. in 1935). - Dust-jacket sl. dam./ repaired with tape. ARCHITECTURE - LE CORBUSIER [=C.-É. Jeanneret]. Entretien. - La charte d'Athènes. - The electronic poem. - L'Urbanisme des trois établissements humains. - Le livre de Ronchamp. - Un couvent de Le Corbusier. [Paris, Les Éditions de Minuit, 1957-'61]. 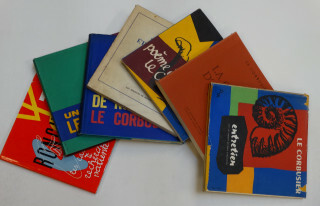 6 Vols. With (col.) ills. Small 4to, orig. wrappers (3x) & orig. cloth, d.-j. pres. - And 1 duplicate by Le Corbusier ("Ronchamps", 1975). (7) Wrappers & dust-jackets with (small) defects. ARCHITECTURE - LE CORBUSIER [=C.-É. Jeanneret]. Dessins. ARCHITECTURE - LE CORBUSIER [=C.-É. Jeanneret]. Vers une architecture. Nouv. éd. revue et augmentée. - L'Art décoratif d'aujourd'hui. Nouv. éd. augmentée. - Précisions sur un état présent de l'architecture et de l'urbanisme. - Urbanisme. Nouv. éd. 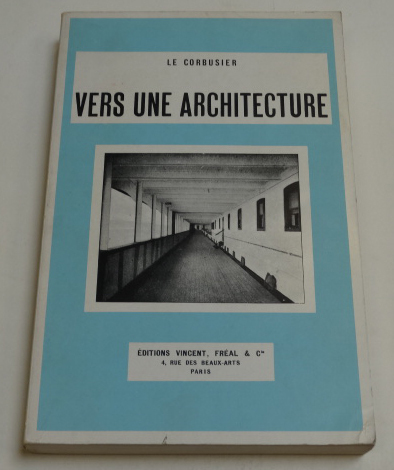 Paris, Éditions Vincent, Fréal & Cie, [1958-'66]. 4 Vols. With ills. Orig. wrappers. - IDEM [& A. OZENFANT]. Après le cubisme. 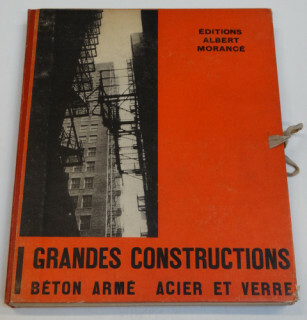 - Almanach d'architecture moderne. - Architecture d'époque machiniste [..]. - Une maison-un palais. Torino, 1975. 4 Vols. With ills. Orig. cloth. - And 10 similar French (smaller) works & pubs. by/on Le Corbusier. (18) Ad 1: A few small imperfections (to the wrappers).